A phenomenon has been occurring recently that would have been deemed inconceivable even a decade ago. LGBT people are becoming “mainstreamed”—a goal for many but not for everyone. Clearly, mainstreaming is a by-product of the equality movement; we’re just like everyone else—for better or worse. Some people reject the mainstream and prefer a separate identity. Yet, with polls showing growing acceptance on most LGBT issues at a jaw-dropping pace and with more folks coming out as fast as you can say “gay pride,” we are every bit a part of the culture. Even straight people are now ho-hum when a gay athlete comes out. This social transformation is evident as more LGBT individuals eschew gay bars and are flocking to straight establishments at an amazing clip. LGBT bookstores have gone out of business partly because of straight bookstores selling LGBT books. (Oh yes, the Internet is a key factor as well.) Gay people used to feel comfortable residing in an urban environment where there are enclaves of similar folks, but lately many have moved out to the suburbs to assimilate there. Mainstreaming is obvious in the media as well. No longer is it a water cooler conversation when a TV show has a gay character. Ellen DeGeneres, who made headlines in 1997 when she came out, is embraced by virtually everybody. Neil Patrick Harris, who is also openly gay, is a coveted host of highly-rated award shows. Few are shocked or even care when a celebrity opens the closet door. Indications of this trend are apparent in the print media as well. Our local Baltimore Sun, continuing its enthusiastic editorial support for LGBT causes in recent years, initiated an LGBT-oriented blog “GayMatters” a year ago, and it has done a creditable job in presenting LGBT news. As such, it brings in a broader audience and helps the populace to better understand our issues. Kudos to the Sun for giving us the attention that was lacking not that long ago when we couldn’t buy any coverage in print (or TV for that matter) except for the flamboyance and fetish-costumed participants at gay pride parades. Of course, that’s changed now, but there is a red flag unfurling next to the rainbow one. Regardless of the positives associated with mainstreaming, we must not overlook the need for our own LGBT press. Some LGBT individuals and organizations, as an example, may be tempted to consider mainstream publications as the default outlet to share information. That would be a mistake. 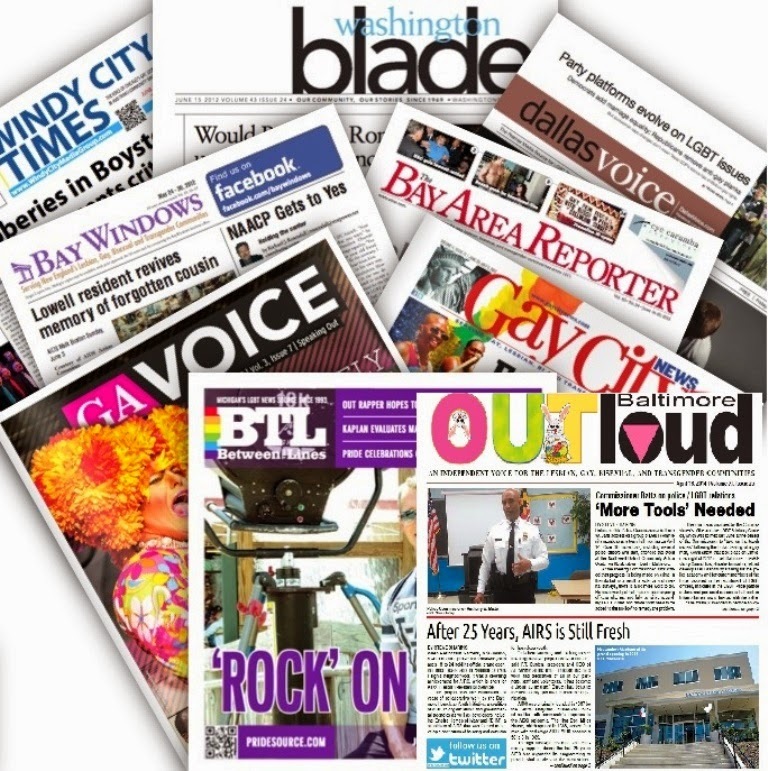 I’ve been covering Baltimore’s LGBT scene for well over three decades—longer than anyone here—and I’ve seen the value of our own press in informing our readers and how it has impacted our community by helping to improve our lives. Despite the best efforts of the mainstream media, we are better equipped, even with fewer resources, to cover far more political and personal stories that are relevant to the LGBT community. This specialization is similar to other publications that focus on a particular ethnic group or religion. Our record over the years speaks volumes. We covered the AIDS crisis in-depth before any mainstream media outlet would touch it and continue to offer health advice specifically for the LGBT population. We chronicled the seminal court decisions affecting our standing in the country. We described the long and difficult road to end discrimination in Baltimore and in Maryland as well as in the military. We analyzed elections and their impact on our community. At the same time, we identified those elected officials, individuals and groups who would stand in the way of progress. We also acknowledge that the job is far from over with gay executions, bashings, bullying, discrimination, marginalization and other actions directed against the LGBT community still continuing globally and requiring coverage. On the flip side, we have profiled those who are working for the betterment of all LGBT individuals when no mainstream publication would or could. And we continue to give voice to many in our diverse community who lack such a platform. For decades, the LGBT press has served us well by enlightening our community and allies in matters that not only interest us but continues to offer an unfiltered glimpse into how the world sees us and helps us to respond. It has been a critical institution on the journey towards equality. Lest we forget our historical contributions, it must remain so. Fairy tales usually follow a set pattern. 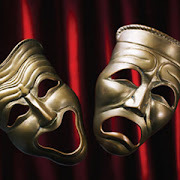 They have a timeless setting, unspecified place, one- dimensional characters (both good or bad) with a purpose to entertain, inspire or teach a lesson. The plot may have a quest, magical creatures, humble hero, diabolical villain, maybe a beautiful princess, and most have a happy ending. Shrek The Musical playing at Toby’s The Dinner Theatre of Columbia follows the fairy tale formula perfectly. Our humble hero, the ogre Shrek, played by Russell Sunday, is content in his swampy abode far from other creatures. His life is turned upside down when his swamp is overrun by a ragtag bunch of fairy tale characters, labeled as “freaks” and “fruitcakes,” cast out of the nearby kingdom of Duloc. These fairy tale creatures persuade Shrek to go to Duloc and convince the evil, dwarf-like Lord Farquaad (played wonderfully by Jeffrey Shankle) to let them return so he can resume his solitary existence. Shrek rescues the Princess Fiona from her long 20 years of waiting and the torch song-singing dragon. On the way back to Duloc, an unlikely romance develops between the ogre and Princess based on their having more in common; i.e. bodily noises, than what is seen on the surface. Fiona's secret curse is revealed to Donkey who finally convinces Shrek to return, and with the help of the fairy tale characters and the dragon, stop the wedding and defeat the tyrant Farquaad. With a kiss, Fiona's secret of being an ogress is revealed, and they live happily ever after. Shrek The Musical is loosely based on William Steig's 1990 children’s book Shrek and follows closely the storyline of the 2001 Dreamworks Animation film Shrek. The film won the first ever Academy Award for best animated feature and has become a children's classic. The show opened in December 2008 and ran for 441 performances. It received 8 Tony Award nominations and continued the long line of screen to stage musicals. With music by Jeanine Tesori and lyrics by David Lindsay-Abaire, the musical is full of winking satire, sight gags and nods to other Broadway musicals like Gypsy, A Chorus Line and Wicked. Russell Sunday, a Toby's veteran of over 30 productions, is the title character and backbone of the show. Despite heavy make-up and costume, he was in fine voice in songs such as "When Words Fail" and "Build A Wall." Coby Kay Callahan brings great energy and personality to the role of Fiona. She shines in the song “I Know It's Today" with Caroline Otchet as young Fiona and Amanda Kaplan as teen Fiona also giving stellar performances. Calvin McCullough brings great comedic timing and enthusiasm to the sidekick role of Donkey. Also strong vocally, Mr. McCullough excels in “Don’t Let Me Go” among others. Ashley Johnson who gives voice to a torch song-singing dragon is another powerful vocalist in the production. Co-Directed by Lawrence B Munsey and Kevin McAllister, Shrek is a fast-paced, fractured fairy tale. With Musical Direction from Douglas Lawler (reviewed production) and Pamela Wilt, numbers like “A Big Bright Beautiful World” sparkle and is my favorite. Choreography by Shalyce Hemby hit the mark in the big production numbers like “Freak Flag” and “What’s Up Duloc?” where the ensemble players sang and danced with energy and verve. The set by David A. Hopkins brought the fairy tale land to life with swamps, castles, bridges and towers. Toby’s mainstays Lawrence B. Munsey and Janine Sunday were blessed with the job of Costume Design. They brought to life over a dozen fairy tale characters from Pinocchio to The Three Bears to The Pied Piper. Lighting Design by Lynn Joslin was instrumental in revealing Fiona's secret. Sound Design by Drew Dedrick made the roar of the ogre and the big dragon believable, and the well-mic’d ensemble were very audible indeed. Another fairy tale pattern Shrek has in abundance is teaching the lesson of tolerance. It possesses a strong storyline of acceptance of everyone and being true to who you are. Pinocchio says, “I'm wood and I'm good.” The line “Let your freak flag fly” from the musical number “Freak Flag” demonstrates the value of diversity. 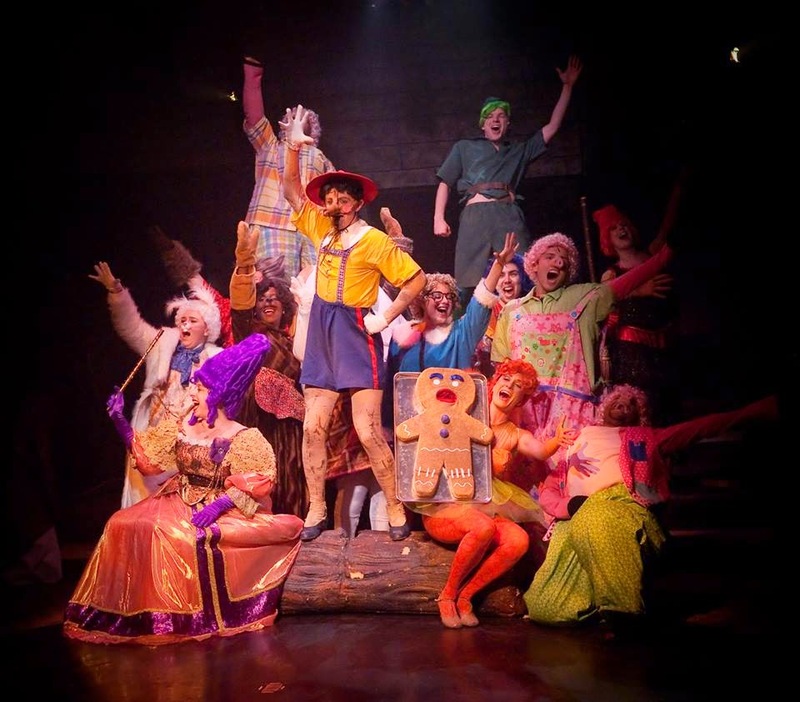 Shrek may have started as a children’s book, and the musical at Toby's had an abundant amount of children in the audience, but like any good fairy tale, it told a story, entertained and provided a needed lesson of acceptance. Another message offered: you don’t have to be pretty to be beautiful. Shrek The Musical runs through June 22 at Toby’s the Dinner Theatre of Columbia, 5900 Symphony Woods Road, Columbia, MD 21044. Tickets may be purchased by visiting tobysdinnertheatre.com or calling 410-730-8311. A booming storm yet again rocks this vulnerable Caribbean island, which happens to be Haiti, “The Jewel of the Antilles.” And in a matter of 90 minutes—the length of a typical wind-swept, drenching and damaging tempest —theatre patrons attending the musical Once On This Island playing at the Olney Theatre Center will be told how a peasant girl can pull strangers on the island together through the power of love. This is accomplished largely through storytelling, an intrinsic part of the peasant culture on Haiti, which serves to entertain as well as to instill values in children. Artistic Director Jason Loewith along with veteran theatre director Alan Muraoka, who is known for his TV work for Sesame Street and making his Olney debut, assembled a talented cast and creative team to deliver a tightly-staged, colorful spectacle in which the story showcases the best of humanity but at times presents a dark reality. He uses a Red Cross shelter following the storm as the setting in the present to symbolically remind the audience of the effects of such disasters on the population, which have been all too common in Haiti. 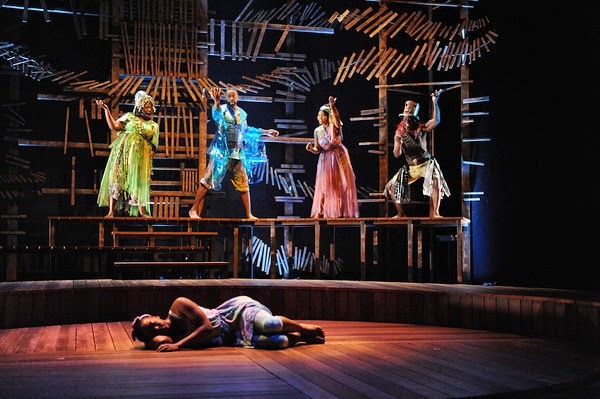 These efforts come into play in Once On This Island as the high-voltage performers are clothed in vivid and at times, rather unconventional Caribbean garb while a stunning set provides an attractive and functional backdrop. Add to that the splashy bright pastel lighting and excellent sound design and you have a first-rate production through and through. Every November 22 we commemorate the 1963 assassination of President John F. Kennedy. That date is engrained in U.S. history and many people who were alive then recall vividly where they were when the news from Dallas broke. We remember that dreadful date but hardly anyone realizes that JFK’s birthday was May 29. Also heartbreaking was the assassination of civil rights icon Dr. Martin Luther King, Jr., which occurred in Memphis on April 4, 1968. Yet the date with which he is most associated is his birthday, January 15. 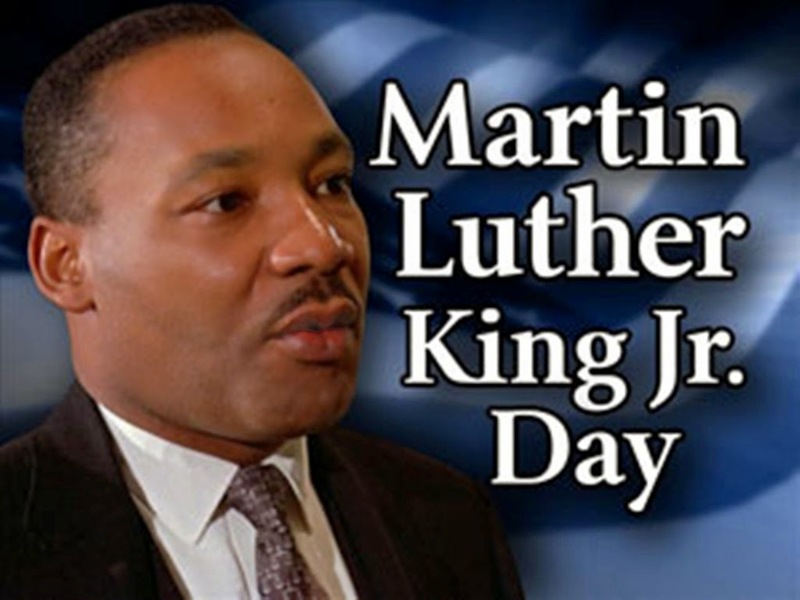 A national holiday was established on the third Monday of each January near that date to honor the fallen civil rights hero. We recently passed the 46th anniversary of Dr. King’s death. I chose April 4—the other MLK day—to reflect upon Dr. King’s contributions and what might have been had his young life not been cut short by an assassin’s bullet. On that horrific day, the civil rights movement following Dr. King’s doctrine of nonviolence experienced a stunning blow. Whereas the U.S. Constitution provides continuity and stability when a president cannot complete his term, that is not the case when a larger-than-life, charismatic but unelected leader is struck down. To be clear, other civil rights leaders have attempted to fill Dr. King’s shoes and worked extremely hard in an effort to end legalized segregation and discrimination and attain justice for African-Americans. Rep. John Lewis from the MLK era, as an example, continues the fight even today. However, there has been nobody I know who has been compared to Dr. King or is perceived to be his equal. Many have succeeded him; nobody replaced him. Arguably the one white leader who had been revered by blacks during the 1960s was Robert F. Kennedy, the younger brother of the assassinated president. He, too, would be slain two months later. Kennedy, a senator at the time and running for president during the 1968 primary campaign, disclosed the assassination of MLK that evening in what many have hailed as the “greatest speech ever” at a scheduled stop in Indianapolis. News didn’t travel as fast in those days—unlike the instantaneous transmission of news and photos today—and the crowd groaned and wept at the announcement of the killing that occurred hours earlier. Kennedy implored love and compassion and decried hatred knowing that the audience would be filled with anger especially since the accused assassin was a white man. It was to no avail. Though Indianapolis remained calm, riots broke out in over 100 cities, including Baltimore, reflecting the anger of a populace who lost their spiritual, if not political, leader. A few years earlier, such riots took place in Detroit, Harlem and Watts, but they were a result, for the most part, of police actions that were hostile to inner city blacks. This time the boiling point was reached with the murder of MLK as a substantial segment of Americans saw a hopeless future and acted out accordingly. Emotions were already ramped up because of the divisive war in Vietnam, which reached its peak in 1968. Unfortunately, the riots produced a white backlash, spawning a “law and order” dogma by conservatives, which impeded progress. Nonetheless, there have been substantial gains in the quest for civil rights since the day we lost MLK. Even before then, largely because of the efforts of Dr. King, President Lyndon B. Johnson signed the Civil Rights Act into law in 1964, and we have recently commemorated the 50th anniversary of this landmark legislation. But just as the elimination of homophobia has been a slow slog through history, so has the efforts to end racism. Income inequality persists for African-Americans as does a sizable achievement and employment gap. Schools in black areas are sub-standard and poorly funded. Many families continue to be torn apart because of poverty, drugs, a lack of health care and other influences. Crime remains a problem in most of the country’s inner cities. Hope emerged, however, with the election of Barack Obama as president. Some saw this as the end of racism as the election of the first African-American to the White House was an unimaginable achievement. People celebrated and imagined how Martin Luther King, Jr. would have reacted to this historic milestone. But the temptation to see this as a new beginning was tempered by the fact that it brought back the old demons of racism and another backlash. Ugly racist signs, t-shirts and epithets were common during the 2008 campaign. Efforts to block President Obama on his legislative initiatives are believed to be, in part, race motivated. The Affordable Care Act or Obamacare was opposed by those who saw this as a way to increase premiums on white people so that blacks can get health insurance. Even the attempt to allow the country to default on its debts was inspired by hatred towards the president to make him look bad. And then there was the Trayvon Martin fiasco, which ignited more racist commentary in what we call the “new media.” Add to that the voter suppression efforts. It goes on and on. Instead of moving forward, we have taken a step back. Dr. King would not be smiling on us now despite the election of President Obama. Instead, he would be shedding a tear—maybe a lot of tears. In recalling MLK’s murder on that muggy April 4 afternoon at the Lorraine Motel, it’s important to note how progress can be thwarted so easily and how fragile racial equality is. We should consider April 4 as another Martin Luther King Day, even unofficially, to reflect upon what could have been and how far we still need to go. Following renovations, the National Civil Rights Museum at the Lorraine Motel re-opened on April 5 to remind everybody of the blood, sweat and tears shed during this movement and that the struggle is far from over. 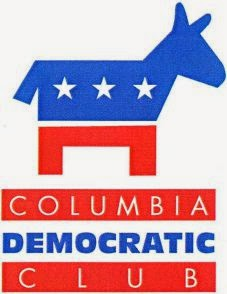 The Columbia Democratic Club (CDC) issued endorsements for Democratic candidates for the primary elections on June 24, 2014 and the general election on November 4. To win an endorsement, each candidate had to receive 50 percent plus 1 of the ballots cast. Only CDC members who are residents in Howard County were eligible to vote. Over 200 participated.